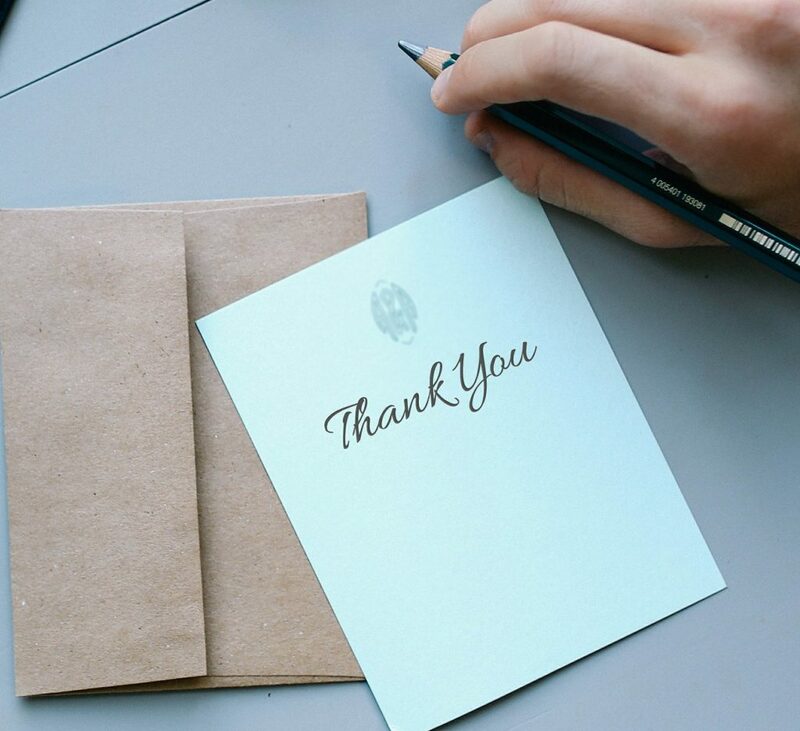 Here is a collection of business thank you quotes and sayings. These quotes would work well in any business related thank you note, such as after a job interview, or saying farewell to coworkers. Itâ€™s always important to keep in mind your relationship with the person before throwing a quote into a business letter. You donâ€™t want to upset a potential deal by referencing someones least favorite philosopher. Are we missing a great Business thank you quote? Add your favorite at the bottom of this page! "The six most important words: I admit I made a mistake. The five most important words: You did a good job. The four most important words: What is YOUR opinion? The three most important words: If you please. The two most important words: Thank You. The one most important word: We. The least important word: I." "Whenever we are appreciative, we are filled with a sense of well-being and swept up by the feeling of joy." "Greatness is won, not awarded." "It is impossible for a man to learn what he thinks he already knows." "Every employee rises to the level of his own incompetence." Whatâ€™s your favorite Business thank you quote?